Apple’s iPad has been stated as the next revenue generating platform for the media companies, but it turn out to be that its two indian techies that made to be the top paid application on the App Store. The two Indian-born graduate students Akshay Kothari, 23, and Ankit Gupta, 22, at Stanford University’s Institute of Design developed Pulse, the News Reader. 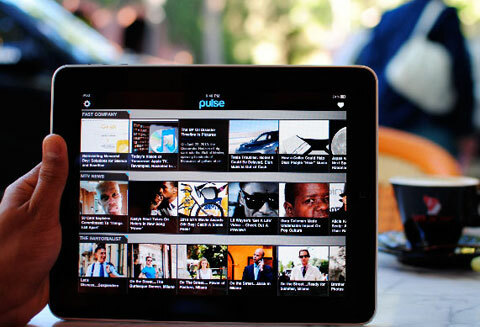 Pulse is a revamped stylish new reader that shows news snippets is a grid of textx and photos. Users can finger-swipe back and forth across various articles from a single news source, or up and down through up to 20 news sources.